See scan - very good condition for this large 1861 Serb / Yugoslavia Royal medal for culture commemorating the centennial 100 year anniversary of Sava Tekelia. 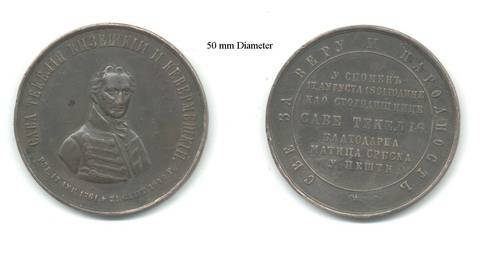 Rare Serb bronze medal. Diameter is 50 mm. Scarce collector piece.